It's Time for a year OF stripes! 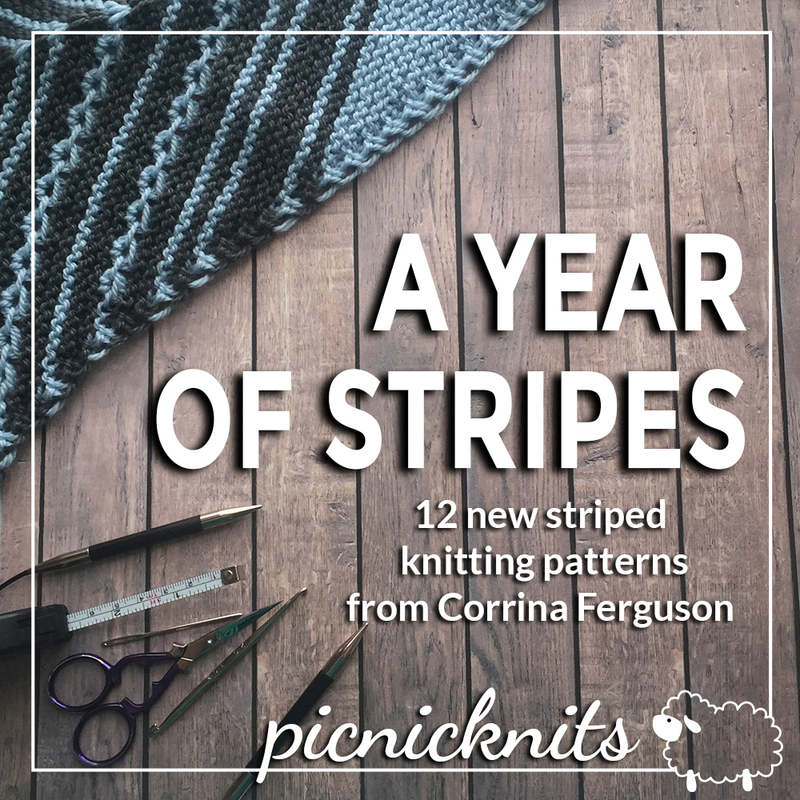 It's a full year of exclusive PicnicKnits patterns - one brand new pattern each month for the next 12 months! Each month there will be a new striped knitting pattern, complete with video tutorial support. The new patterns will be exclusive to the club members for a full year from date of release! Monthly patterns released on the 7th of each month. Hi there! I'm Corrina Ferguson and I'm your designer. You can see a full portfolio of my knitting designs on Ravelry. I've been designing and teaching for 10 years and am excited to spend this year knitting with you. I have all sorts of surprises and fun in store! 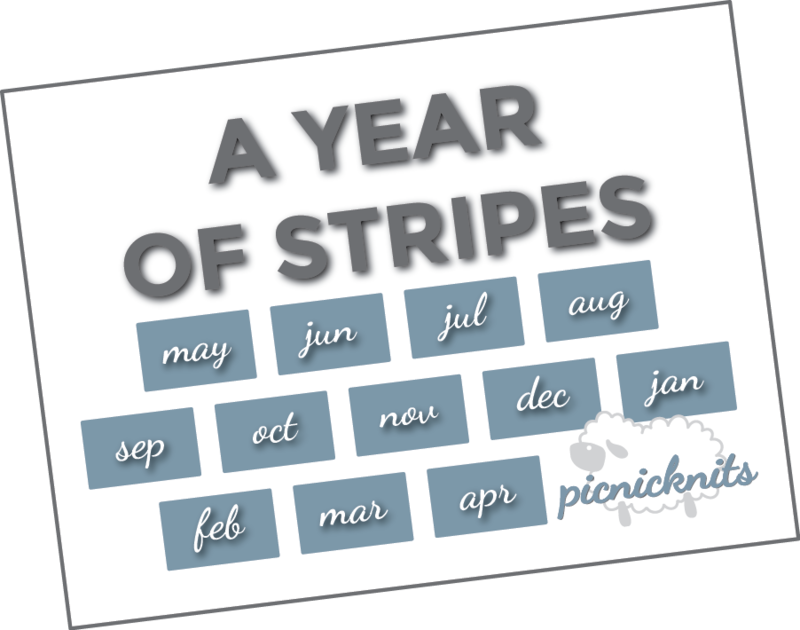 JOIN US FOR A YEAR OF STRIPES! + How does this all work? You purchase the Year of Stripes e-book on Ravelry. Each month the new exclusive pattern is automatically added to your Ravelry library, so you can download the patterns at any time. When you purchase the e-book you will also get the information to join our private Facebook Group. + When do the patterns come out? Patterns will be released each month on the 7th day of the month. The first pattern will be released May 7th, 2017. There will be a private Facebook group set up for all students, and I'm always just an e-mail away! I will be uploading tutorial videos for each pattern, and we will be doing a knit-a-long for each pattern in the group. + How long will I have access? Forever! The patterns will stay in your Ravelry library permanently. The content on the private Facebook group will be available to you indefinitely as well. + How are the patterns exclusive? Each month the patterns will be released only to the club members. These patterns will only be available to the club members for one year from the date of their release. + What if I join late? If you join late you still get all the patterns for the year. You will miss out on any special extras we do during the course of the months you miss. But you still will get all 12 patterns and the Facebook group content will still be available to you!